You are here : Home \\ Blog || Short Sale Articles \\ How Long Does a Short Sale Take? 4) The turntime of any 3rd party vendors who are involved in the process, such as appraisers, BPO agents, etc. The lender (servicer) is one of the key dictators of how long the approval process will take. Some banks such as Bank of America short sales have efficient online systems and processes which streamline the approval process. They have been adequately staffed with negotiators, closers, and customer service reps. These companies will usually turn around an approval within 30-45 days of receiving the short sale packet. Other companies such as Chase short sales still use the old fax machine and snail mail system which slows down the process quite a bit and leads to lost paperwork. These companies can also be understaffed which leads to delays. They can take 90 days to reach a short sale decision. Each lender is different and we can let you how your lender stacks up in the timeline game. The key to a good short sale experience is working with a short sale realtor who can manage time expectations. Most sellers can live in the home until the closing date but want to plan ahead of when they may have to move out. These are things sellers want to know. If you live anywhere in the San Francisco East Bay area and would like to get a better idea of what the process timelime might look like for you, please Contact Us for a free consultation. We can get more information on your lender(s) and help diagram a timeline and closing strategy for you. To get a better idea of what is included in the short sale process from beginning to end, visit our “List Your Home As A Short Sale” page. Previous post: New Listing near Concord/Clayton border. Desirable upstairs, poolside location unit! Next post: Can I Do a Short Sale If I Have a Home Equity Line of Credit (HELOC) or a 2nd Mortgage? 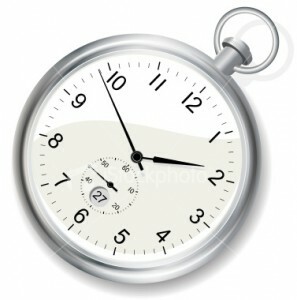 Navigation: Weblog / Blog article: How Long Does a Short Sale Take?